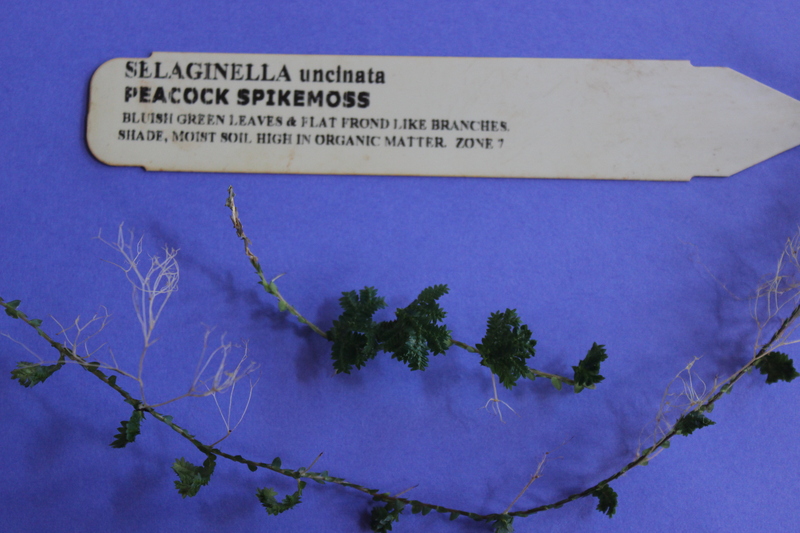 The “lace” of the plant kingdom is the low-growing selaginella, nicknamed spikemoss. They are moss-like, but are more complex with branching, horizontal stems and roots. 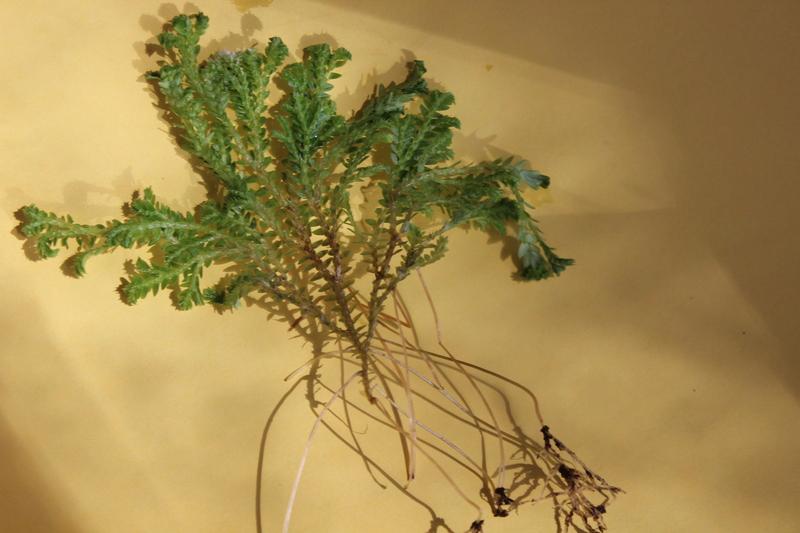 I only have one type of selaginella that is hardy enough to leave outside. It is the Gemmiferous form that turns “rusty” colored in the winter, thus the name ferous/iron. These ancient plants are even more primitive than the ferns. Their leaves are scale-like and small. They stay low to the ground due to their lack of supportive tissues. My favorite type is this lovely blue, appropriately called Peacock Spikemoss. I also have a form that is sold under the name”Frosty Fern.” This is not a fern, it is a variegated spikemoss. 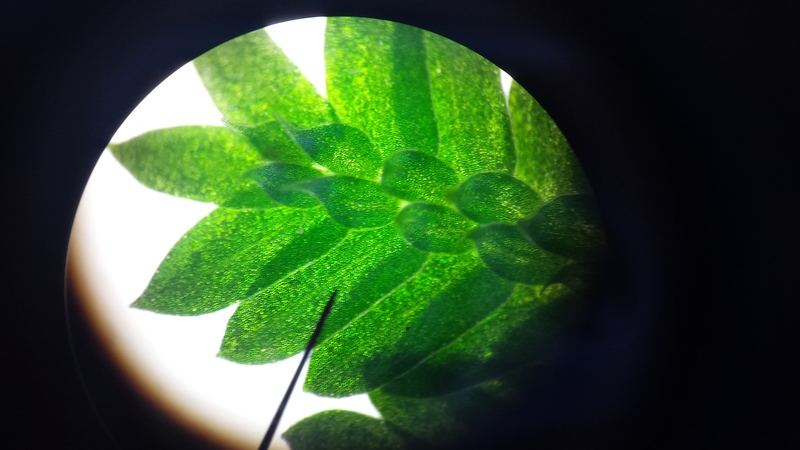 These lowly but lovely plants reproduce by spores, not seeds. 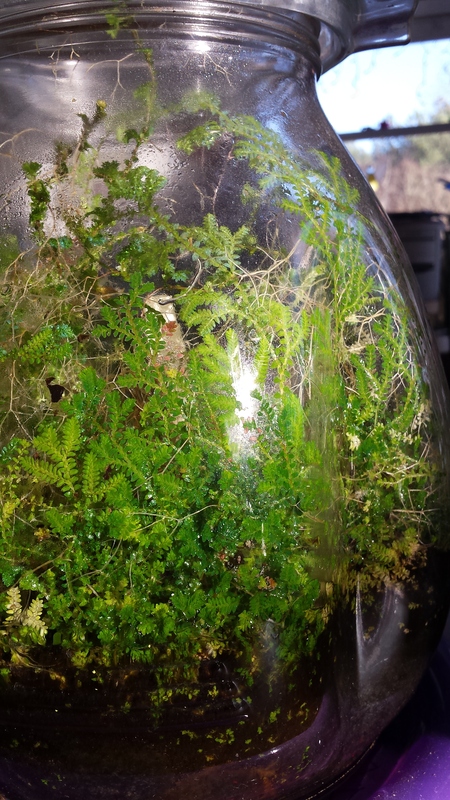 They are great in terrariums. I put them in with carniverous plants to keep them company. They love to grow up the glass.